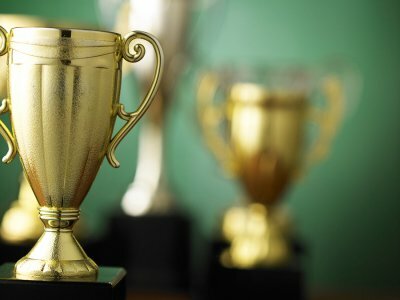 If you coach a kids’ sports team and are planning a sports awards banquet, you should pick up some personalized trophies from a trophy store near San Jose and Santa Clara . Presenting your players with sports awards is the best way to reward them for everything that they have learned and accomplished throughout the season. Here is a guide to hosting an entertaining sports awards banquet for your players. If the sports team is affiliated with a school, you can use the school’s gymnasium or cafeteria for your banquet. If you plan on serving food and drinks during the banquet, you’ll want a room with enough space for tables and chairs for every guest. You may not need a stage, but if you do want one, consider holding the banquet in the school’s assembly room or theater. If the sports team isn’t school-affiliated, you could hold the banquet at a local restaurant. If you want a more casual venue, consider having it at a local park. Every athlete should be given a trophy or custom award for his or her performance throughout the season. These awards should celebrate the players’ hard work and dedication to the team, as well as their attitudes and areas in which they have demonstrated improvement. A local trophy store can help you choose and customize sports awards for each athlete. Sports awards can include categories such as most improved, most valuable player, best sportsmanship, excellent leadership, great attitude, most assists, best defense, and most goals scored. As the coach, you’ll be expected to deliver a short speech before the sports awards banquet. You can praise your players and talk about specific instances in which the team played skillfully and worked hard. You don’t need to discuss specific players during this speech, as the players will be recognized individually when you present them with their personalized trophies. You can take this opportunity to recognize the commitment shown by their parents, family members, and others who contributed to the team’s success. Personalized Gifts & Custom Awards in San Jose. JB Trophies & Custom Frames. ©2018 All Rights Reserved.